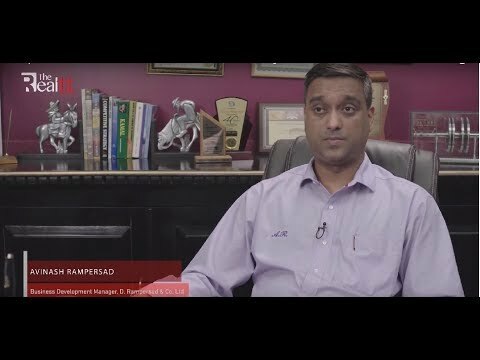 The Real TT interviews Avinash Rampersad, Business Development Manager at D. Rampersad & Co. Ltd. (DRCL) regarding their activities in the CNG market. Furthermore, in the video interview, Nirmal Rampersad, Chairman provides some insides. 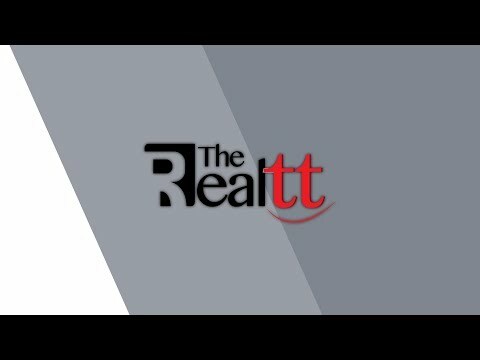 The Real TT: What are the prospects for the compressed natural gas (CNG) market in Trinidad and Tobago? Nirmal Rampersad, Chaiman: I have to compliment the Government for what they are doing for the CNG business in Trinidad and Tobago. It's one of the things that West Indians, or Trinidadians for that matter, would not easily accept, but there are so many incentives that we have for the end users, especially fleet owners, that I think within a year or two this country’s CNG market will take off. A.R. : I am pleased that the Government since 2010 has taken the initiative to reduce the gas demand within Trinidad and Tobago because for many years it was a known fact that at some point in time we were going to run into gas problems or issues.In 2011 it was announced by the Government in their annual budget that there would be a drive toward the development of CNG as a vehicular fuel in the country. And as a result of that research over the years we have managed to develop international framework agreements with various international players involved in the CNG business. A.R. : In Trinidad and Tobago, D. Rampersad & Co. Ltd. (DRCL) has been fortunate to be awarded the contract to supply 24 CNG systems to the NGC CNG Trinidad Ltd. Company. As part of this contract to date we have installed four units throughout the country, and within the next three to four months, we will probably install another six or seven units. That doesn’t mean to say that presently there are only four CNG stations in the country - there are actually 10 as of June 2017 in operation - but in terms of the Government’s initiative to enhance the accessibility of CNG, that is something we are working toward. DRCL will not only provide the CNG units, but also install and maintain them for a period of three years. Coupled with that we are also involved in the supply of CNG buses, so we have two agreements with two Chinese brands where we supply 100% CNG-fuelled buses as well as 18-seater CNG/gasoline buses. These buses have been tried and tested, and we’re quite proud to say that we have a memoranda of understanding with the Private School Transport Association of Trinidad and Tobago (PSTATT) with the intent that if they give us priority on the buses that we sell them, we in return would give them special pricing along with other benefits to enhance PSTATT. As part of our CNG initiative we have also opened a separate company, Omnitek CNG Trinidad Ltd., which is located in El Socorro where we have 13,000 square-feet of covered space we have developed toward this CNG conversion project. The Real TT: What are the greatest benefits for transitioning over to CNG from conventional fuel? Nirmal Rampersad, Chairman: It’s simply the price of gas, because petrol is going to increase more and more every day, especially as the Government is going to take away subsidies, so the best investments in the near future are going to be in CNG. A.R. : One of the main advantages is NGC CNG, the company representing the Government in this CNG initiative, they have developed a lot of fiscal incentives for not only maxi-taxi owners, but fleet owners as well if they have 20 or more vehicles, so the conversion cost is relatively cheap compared to if you have to invest in this change on your own. From a cost perspective the owners themselves save on both the initial conversion side and on the fuel side versus gasoline or diesel. Because of the fiscal incentives and the fuel cost difference, at the end of the day the end-user will save more than 75 percent of what they’re currently spending on gasoline or diesel.